Further into the park, we're walking the trail to "Mouse's Tank". It's a natural rainwater collection basin that was named after an Indian who hid in the area in the 1890's. 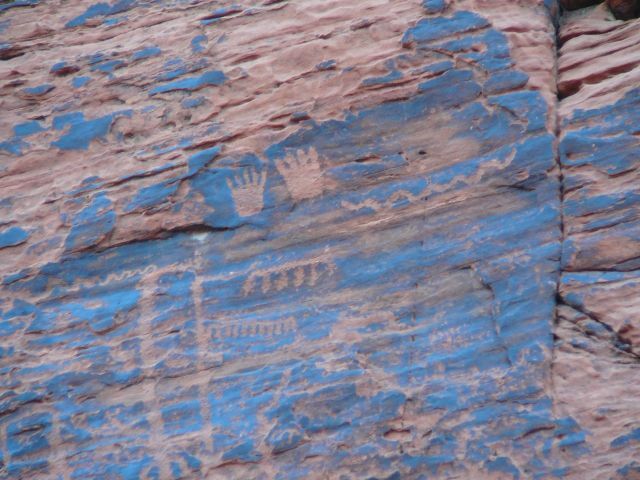 There are several petroglyphs here. When we were all done, we noticed a sign at the entrance explaining the likely meaning of most of them. I was so disappointed to find that the petroglyph I thought meant "Lithium-catalyzed nuclear fusion" actually meant "Turtle".